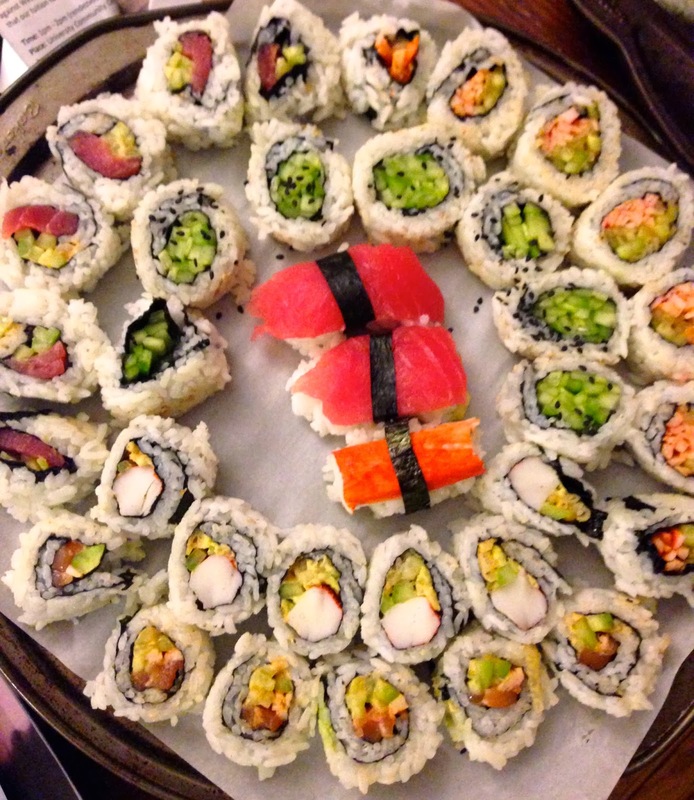 Google+ That Flour Child: Roomie Dinner Night - Sushi! Roomie Dinner Night - Sushi! I have another roomie dinner night post for all of you. Again, excuse the cell phone pictures but this is the best I could do. 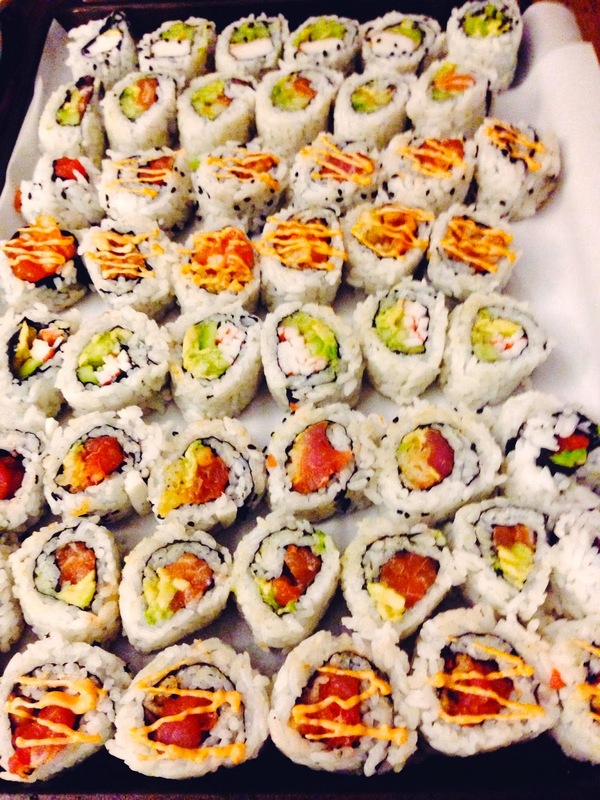 This is not the first time we have made homemade sushi, so don't get too impressed. It is actually pretty easy to do, and everyone sitting around the table slicing up the ingredients is a good time to chat before our mouths are full of sushi. While the rice is cooling down, chop up your ingredients. 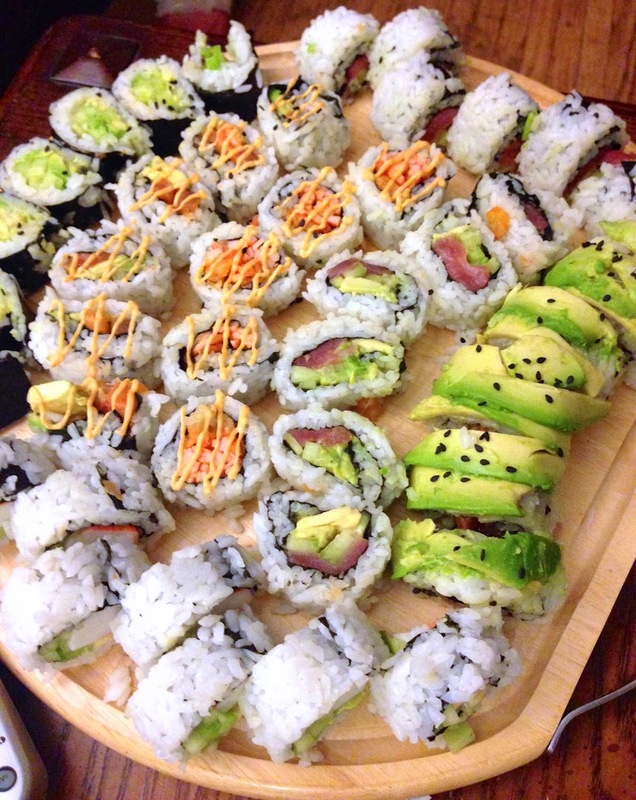 We used cucumbers, avocados, tuna, salmon, crab and some tempura bits. Some of the fish we made spicy and some we left alone. Then we just got to rolling up whatever we wanted in the rolls and cutting them into pieces. *** We put the rolling mats in large Ziploc bags so the rise doesn't stick and we don't have to clean the mats after! 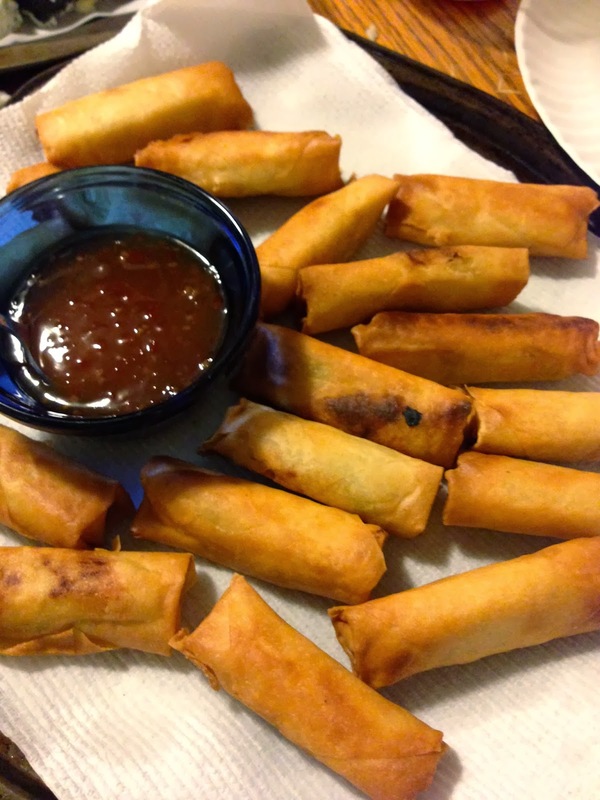 You want to roll them up as tightly as possible so that they don't come apart when you splice them up. You can put the rice on the inside like in the picture, so flip the seaweed over before you put in the fillings and roll it with the rice on the outside. This is always one of my favourite dinner nights, its always so much fun. 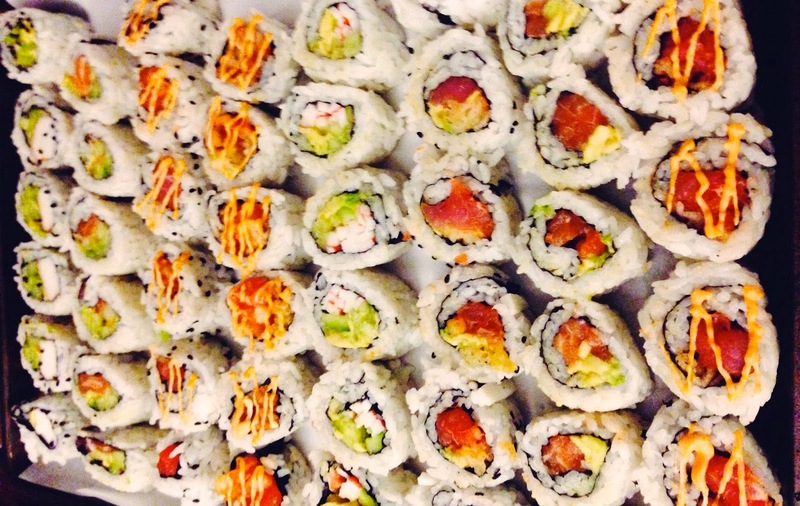 Have you guys ever tried to make sushi?